If you are looking for a singular item that can change a wardrobe Fall of 2015 has got you covered – literally! The scarf for this season has taken on a bold new look and covers so many bases you will be amazed. From knitted and chunky to large blanket plaid scarves, this fall gives so many options as the cool weather starts to move in and take hold. The chunky knit scarves are . Monogrammed backpacks this year are not just for a school girl or for camping! Right now they are designer HOT. And once you grab ahold of the convenience and comfort of these stylish numbers, staying on trend will be a breeze. According to Vogue, “the piece acts more like the cleverest purse in the world than the standard hallway-blocker”. 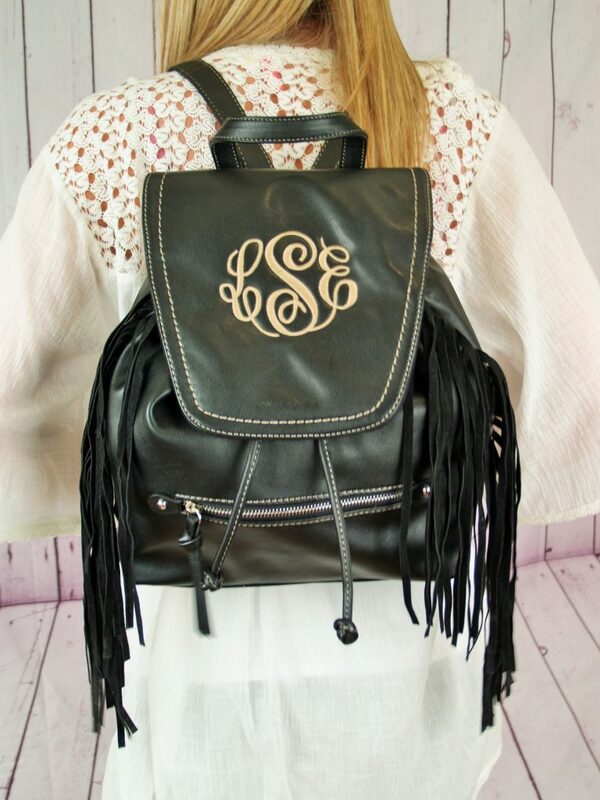 At I Flew the Nest we have picked out some perfect monogrammed backpack purses necessary . When putting together an outfit, the accessories you choose can change the vibe 180 degrees with the most minor of adjustment. You can go from serious career girl in the morning with your basic black skirt, white blouse, classy heals and a clean purse to dancing with your friends in the SAME outfit! Trade the heals for boots, add a sleeveless cardigan with a trendy print over the white shirt, pull your clutch .